Dr. Quinones joined the faculty of Baylor College of Medicine at Houston Methodist Hospital in 1977 after serving two years in the military as Chief of Cardiology at Moncrief Army Hospital in Fort Jackson, South Carolina. He was made full professor in 1987 and retained this position until 2005, when he became Chair of the Department of Cardiology at Houston Methodist Hospital and Professor of Medicine at Weill Cornell Medical College. He served as director of the Echocardiography Laboratory at Houston Methodist from 1977 to 2002. From 2003 to 2008, he served as medical director of the Houston Methodist DeBakey Heart & Vascular Center. Dr. Quinones has served on the Board of Directors of the American Society of Echocardiography and the American College of Cardiology as well as on the editorial board of several peer-reviewed journals. In addition, he has served on the Executive Board of the Interamerican Society of Cardiology. Dr. Quinones has authored or co-authored over 200 manuscripts in peer review journals. He has served as a member of several writing groups in echocardiography and chaired the writing group for the ACC/AHA Clinical Competence Statement on Echocardiography. In 2012, Dr. Quinones received a Master of the American College of Cardiology Award and a Lifetime Achievement Award from the American Society of Echocardiography. 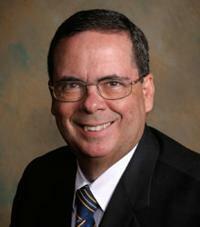 Dr. Quinones is currently President of the Houston Chapter of the American Heart Association.